Dutch EDM star Laidback Luke has confirmed he will perform two exclusive techno sets at Eden this summer for Taste The Punch. The two exclusive sets — which are scheduled for Friday 30th June and Friday 28th July — will be the only techno sets Laidback Luke will perform on the White Isle this summer. The two shows represent a rare opportunity to hear Laidback Luke showcasing his love of techno which dates back to the early 90s when he cut his teeth as a techno DJ in his native Holland. 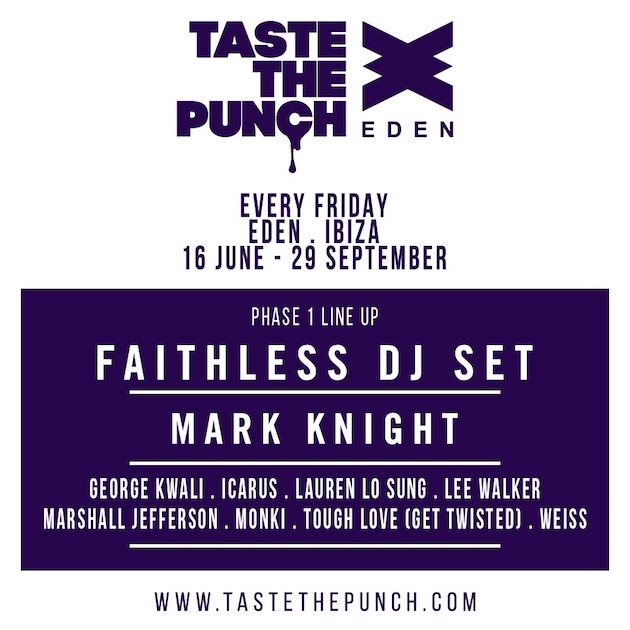 Laidback Luke joins an all-star cast of artists already announced for Taste The Punch Ibiza every Friday at Eden from 16th June, including Faithless (DJ set), Mark Knight, Tough Love, Monki, Weiss, Icarus, Lee Walker, Marshall Jefferson, Lauren Lo Sung and George Kwali. For tickets and the full Taste The Punch line-up breakdown head here. The thing with the techno sets is that I'll keep it so underground, I'll even stay away from techno hits. I'm doing these for me!